My work is inspired by my past…glassware my mother collected, random childhood possessions, ancestor’s housewares, and worn family furniture and household items passed down to yet another generation. You never know when the inspiration is going to “hit” so you always have to be on your guard—ready to identify the thought as an inspiration and then be able to “run” with it. 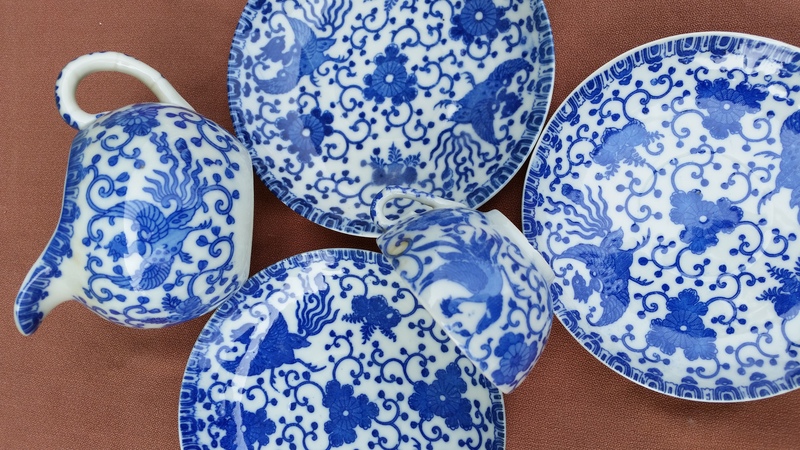 In addition, my mother had a love of blue porcelain so I was surrounded by it growing up. It was a familiar, every day sight. Blue porcelain was on the table, in the cupboards, and on the counters. 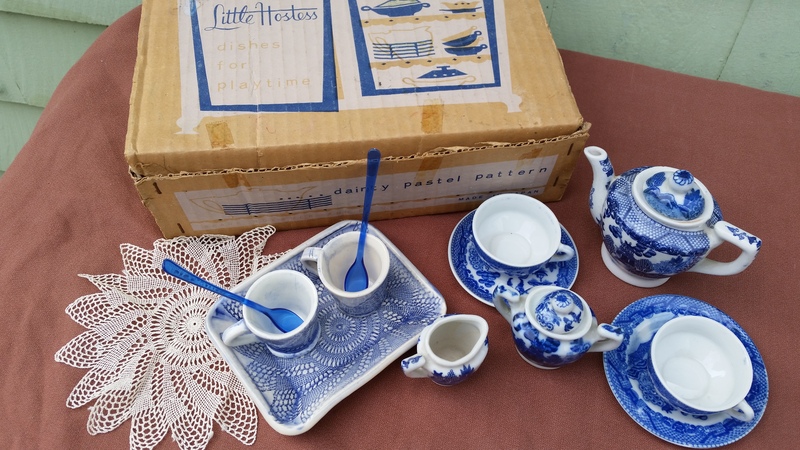 Combine the lace designs with the old familiar blue cobalt color– now add an old familiar shape—the child’s tea set I got as a child! I still have the child’s china tea set in its original box; I think it cost a couple dollars at the 5 and 10 store that my grandmother worked. 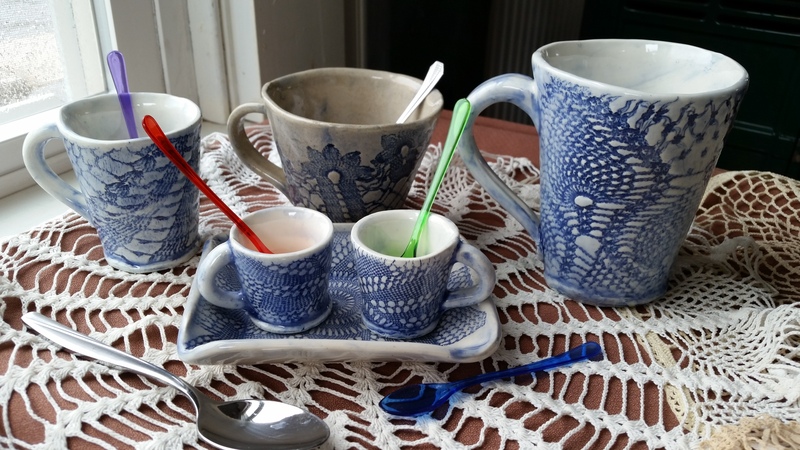 The interaction of three ideas— old lace, blue porcelain, and child’s tea set, has resulted in my current exploration of lace on clay. At times, it’s an inspiring trip down memory lane; only time will tell where this journey will take me!